With Japan on track to open its doors wider to foreign workers to address its labor crunch, challenges loom over how to ensure decent working environments and integrate people with different languages and cultures into society. Experts warn that the new visa system, likely to start in April, may end in failure unless authorities take steps to address the problems foreigners who currently engage in simple labor in Japan face, such as abuses by employers and isolation within communities. In particular, the government has faced criticism over the treatment of foreigners who come from developing countries to serve as technical interns, with human rights violations of such laborers highlighted in recent years. "I fear that the new system may end up as a rerun of the technical intern program," said Shoichi Ibusuki, a lawyer who has been involved in helping foreigners who face harsh working conditions. Some technical interns have come out to speak in public about their plights. Eng Pisey, a 33-year-old Cambodian technical intern in Gifu Prefecture, was among them. "I am very, very sad," she said at a press conference in Tokyo in late November, explaining that she fell ill after working from early in the morning to oftentimes 2 or 3 a.m. even on holidays. She said she was only paid 300 yen ($2) to 500 yen per hour, far less than the 800 yen minimum wage set in the prefecture in 2017. "Nobody told me about the cheap salary (before coming to Japan)...I just want to go home," she said. "Such a story is not uncommon among technical interns," Ibusuki said. Japan introduced the technical intern program in 1993 in the name of transferring skills to developing countries, and interns accounted for about 20 percent of Japan's 1.28 million foreign workers as of the end of October last year. But the program, which does not allow interns to bring family members to Japan and switch workplaces, has faced criticism as a cover for importing cheap labor. More than 7,000 interns fled from workplaces in the last year alone, according to the Justice Ministry, likely because of low wages and long working hours. The government has promised that under the new visa system, foreign laborers, many of whom are expected to be blue-collar workers, will be ensured the same level of pay as Japanese people engaging in the same work. But Ibusuki said the new scheme "does not include much detail on reigning in brokers" who it is believed may come to play a similar role in workers' entry as they do with technical interns, exploiting them by collecting various fees. "That's where the biggest problem lies," he added, noting that 98 percent of labor law violations go unreported as interns are reluctant to be vocal about unjust conditions out of fear they may lose their jobs and be left with the debts they incurred in coming to Japan. How to better manage the technical intern program remains an important issue as interns will be allowed to switch their visas to the newly created ones, which would enable them to extend their stay while allowing them to change jobs in the same job sector. Some aid organizations, meanwhile, plan to step up efforts to enhance the country's preparedness for a host of labor-linked and other issues that may occur once the new system is in place. "We decided to collect the voices of people (who are currently working in Japan on how to better manage the new system) and convey them to the administrative bodies or other organizations involved," said Shigeru Yamashita, managing director of the Tokyo-based Vietnam Mutual Aid Association in Japan. The organization, launched in May to help Vietnamese working in Japan, has been providing consultation services through social networks including Facebook and recently began acting as a middleman in passing on workers' complaints to companies they work for. 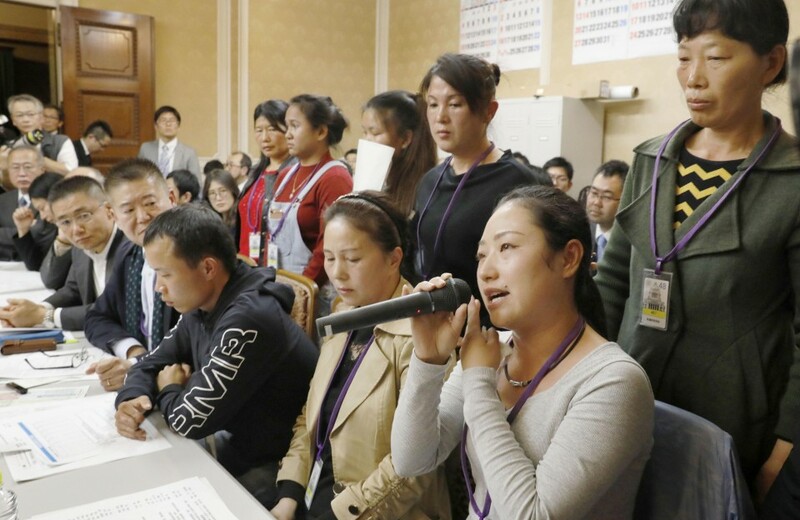 If Japan continues to fail to improve the treatment of foreign workers, many of them may eventually turn away and head for other countries such as South Korea where procedures are much simpler and are strictly controlled by the government, Yamashita said. While many of the details of the new system are yet to be decided, Keizo Yamawaki, a migrant integration policy expert, said that the change will have the positive aspect of helping to normalize a situation in which Japan has relied on backdoor channels such as the technical intern program to secure blue-collar workers. The professor at Meiji University also said policies for supporting their daily lives and employment are necessary but that the key to making the new round of accepting foreigners a success is to work on achieving integration. When Japan revised its immigration control law in 1990 and started accepting second- and third-generation Japanese Brazilians, frictions between existing community members and the newcomers grew over customs such as garbage disposal, noise and illegal parking, while language barriers also kept them apart. 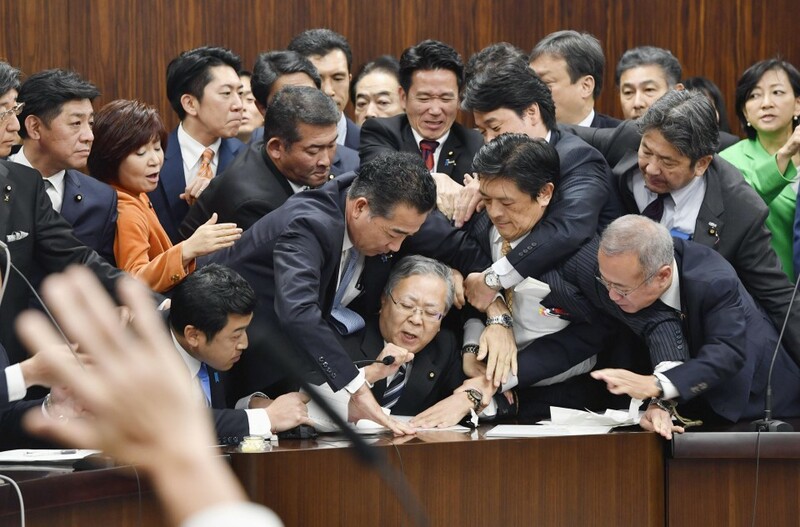 Yamawaki suggested the Japanese government should move fast to financially assist municipalities in their preparations to enhance multilingual services and sharing model cases of integration, saying delays in responding to the situation in the 90s gave way to confrontations between Japanese and Brazilians which even led, in one case, to a teenage boy being killed in a group assault. The professor also called for introducing a law that prohibits all forms of discrimination against foreigners as in other developed countries and educating Japanese people from elementary school ages to create an accommodative atmosphere for foreigners. "Unless we try to nurture views that foreign people are contributing to Japanese society, an increase in the number of foreigners could lead to more discord and possibly spread prejudice and discrimination," he said.